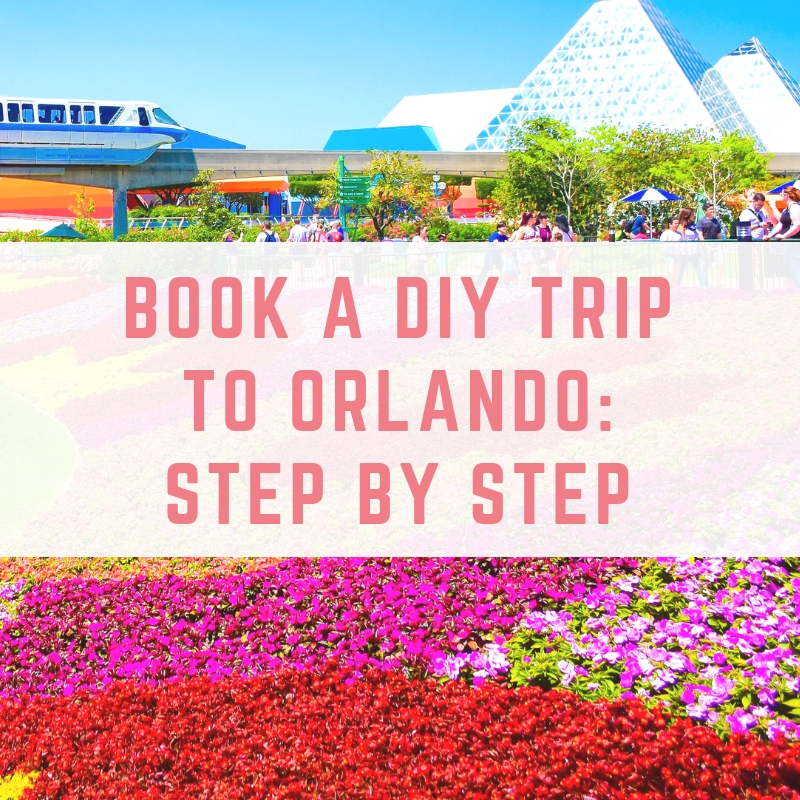 I love visiting Orlando, and I have been asked countless times how we go about booking our trips. Visiting Orlando, especially from the United Kingdom, isn't exactly cheap, especially once you pop theme park tickets on top. 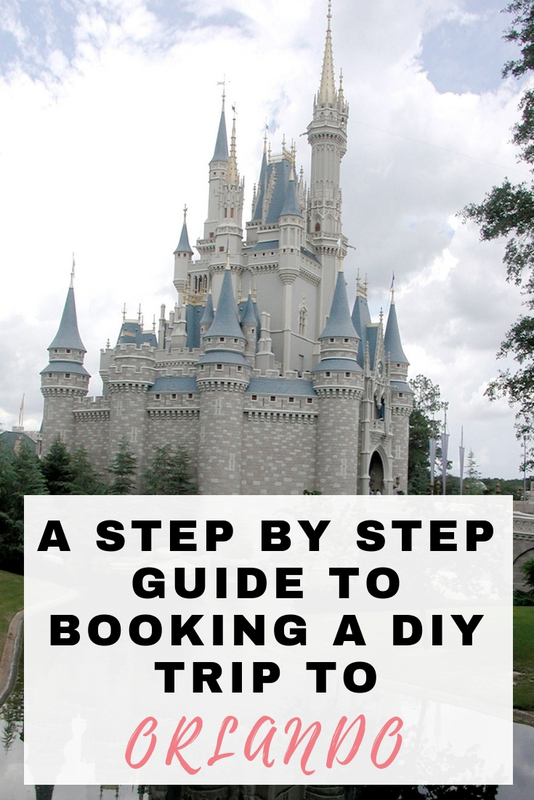 We always book everything separately (apart from one time when we made use of Free Disney Dining) choosing to do it ourselves. 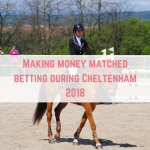 In this post I am going to share the order that we book things in, as well as the websites we know, love and trust to help us along the way. Let's get stuck into each area. Whilst most of the other portions of the holiday booking are interchangeable, the flights always come first for us. Since we have flexibility of when we fly we can spend some time working out the best days to fly. Sometimes we can save hundreds just by flying a day later or returning a day later. We use both Skyscanner to get an idea of the cheapest dates (you can search by the entire month) as well as Norwegian and checking our Virgin Atlantic Airmiles. We are really converted to flying with Norwegian in their Premium Cabin – I think it would be the equivalent of Business Class for other airlines. It is hands down the nicest Premium we have flown, and beats Virgin Atlantic hands down. Once we have the flights booked it is time to move on to travel insurance. Getting travel insurance is so important whenever you travel, but especially so for travelling to America. Health care is expensive in America, and you need to have adequate cover in place. If you just need a standard insurance (no pre-existing medical conditions) then I'd recommend GoCompare or Compare The Market and run a comparison to find suitable insurance. As you may know, I have Type II Diabetes, so my travel insurance needs are a little bit more complicated. 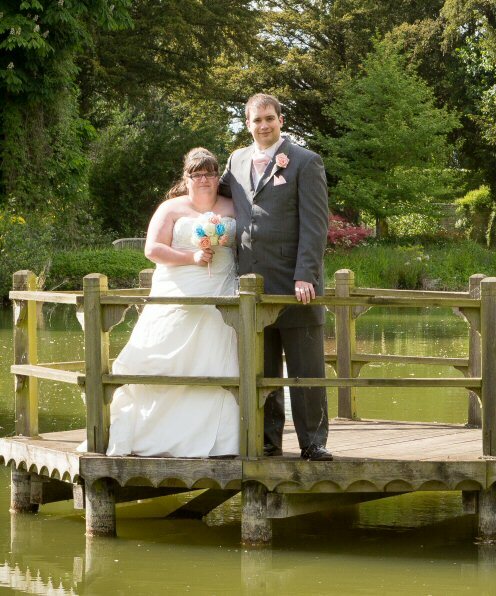 I have used Just Travel Insurance since being diagnosed and they have been fine. I haven't needed to make a claim, so I can't commend on that process. For your information, our premium for Tony and myself, with my medical condition disclosed and cruise cover is around the £100 mark for a year. You want your travel insurance to start from that day. In an ideal world, the day you book the flights, and not the start of your holiday. This is because if anything happens in the mean time, you are covered. America takes part in the visa waiver program called ESTA. You need to apply for one, and it costs $14 per person and lasts for two years. There are some circumstances where you would actually need a visa for your visit, so it is important to apply for your ESTAs as soon as you can to ensure that you are allowed entry into the USA. This won't apply to everyone, but we like to travel to the airport the day before we fly and stay in a hotel there. At Gatwick we absolutely love staying in an Executive Room at the Hilton, but this can get expensive! We always check out hotels.com and Hilton's own website for the best price. The good thing is that hotels.com price match, so we book it there and then if they drop the price we get a refund at a later stage. The Hilton Executive Room comes with bathrobes, access to the Executive Lounge (free food and drinks including alcohol) and the hotel is a short walk through a tunnel to the airport. The Travelodge, especially if you pay extra for a Superroom, is also lovely! Some of the Superrooms have airport views so you can watch the planes land. It is a very short shuttle bus ride from the terminals, and the bus costs £3 per person. It runs 24/7, but if you are worried about getting there on time then you can opt for a taxi which costs around £6-£7. As you know, I have anxiety, and I find that driving the first night in Orlando, especially if it is dark, almost ends up with Tony and me divorcing. Driving in Orlando is super easy, but that first night, in the dark – nope. I can't do it. If we are landing at around 5pm then we will choose somewhere different to stay for our first night. 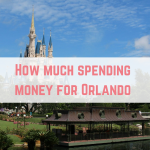 The two main options are a budget Disney hotel because they have a free shuttle bus to the resort, or staying at the Hyatt in Orlando International Airport – but that is expensive AF. We look at hotels.com and Disney Holidays for a hotel that first night, and my max budget is usually around £120. We have been lucky enough to have a night in a Little Mermaid room at the Art of Animation for just £82 in the past, but it really just depends on what is available. From the Disney resort you can get a free shuttle bus to the Disney Car Centre to pick up a rental car. Unless you have a specific hotel or villa that you want to stay in then you can make some big savings here by being flexible. We have stayed all over Orlando, in accommodation at every price point. From budget hotels on I-Drive to staying at Bay Lake Tower, and what suits us the most is a private villa in Kissimmee. 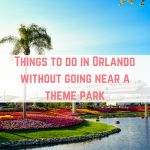 Kissimmee is about a 30 minute drive to most theme parks and has restaurants and shops everywhere you turn. Our favourite community is Cumbrian Lakes which is about 5 miles from a Dollar Tree, Target, Walmart and Chick Fil A. Basically all of our favourite places! We have used Elite Vacation Homes for 3 of our trips now, and we love the villas they have available. Being in a villa suits us perfectly because we have a private pool, washing facilities, a full kitchen to cook in (which saves us so much money) and most importantly, space for us to spread out and get away from each other! If you are going to be using Elite Vacation Homes then email them to get the best price on a villa – we saved $40 per night just by emailing and asking the question. That amounted to a massive $520 during our stay. I would also love it if you mentioned hearing about them from me if you do book with them! I don't get anything from them for this and this isn't an affiliate link. Whilst I might not get my travel currency at this stage, I need to at least have a plan for how I am taking my money. I would never recommend taking all cash with you, although plenty of people do. In the past I have used the FairFX card. You can top it up whenever the exchange rate is good, and top it up on the go whilst in Orlando. They don't work at Target stores though, so bear that in mind. Then we would take around $100-$200 in cash for anywhere we needed cash only, or when the card didn't work. On our most recent trip we have been using the MBNA Horizons Credit Card. 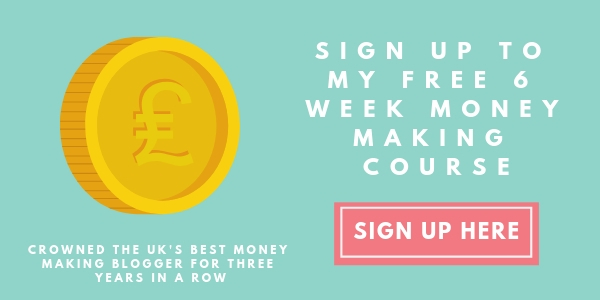 We use this credit card for our day to day spending because we get 0.05% cashback, and we have a Direct Debit set up to pay it off in full every month. This card also has no foreign transaction fees, and unlike the FairFX card, we don't need to worry about topping it up or how much is on our balance. Car hire is one of those things that we have found does NOT get cheaper the closer you leave it to your holiday. We have been stung in the past by waiting for it to get cheaper and it has just risen and risen. We usually use RentalCars, but on the most recent trip we found Netflights to have a substantial saving. We always use Alamo for our cars. One trip we used Thrifty and it was awful. Alamo also have kiosks at the airport so you don't even have to queue. Once you get to the parking lot you are shown a row of car to choose from. You just get in your chosen car and drive off to the barrier where someone will check you and your car out. You will need the driving licenses of every named driver and a credit card for a security deposit authorisation. Don't put these in your boot or out of reach. If you are getting your car from Disney car centre or Disney Dolphin hotel then they are usually out of the cheapest cars and you could get a free upgrade. They choose the car for you though. You need to place a deposit for your car rental, and a credit card is advisable. 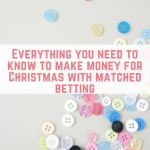 If you use a debit card or a prepaid card then it will tie that money up. Alamo offer a package with a tank of fuel and an additional driver – this is cheaper than adding an additional driver at the daily rate. If you don't like the car you have chosen then you can change this later. After you have all the boring stuff out of the way you can book your theme park tickets. My favourite place to book these has always been Florida Escapes who have offered competitive prices. UK visitors get access to some amazing tickets. 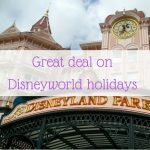 For less than the price of a day at each of the four Disney theme parks you can get 14 days access to the parks and water parks, but you have to buy your tickets in advance. 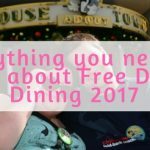 One of the final things to add are any other attractions, days out and dining reservations (Disney allow you to book your dining 180 days in advance and the most popular locations do fill up fast). If you want to use your phone in America then I highly recommend using Three as your mobile phone provider. They have packages that allow you to use your allowance in America (as well as some other countries) at no additional cost. The only thing you can't do is tether. If you don't want to switch your entire contract to Three then you can get a pay monthly deal or a PAYG deal, but the terms and conditions are always changing so make sure you read up on them first. In the past I have known it be that you have to have your PAYG plan active for a month before you can use Feel at Home. Plug adapters are cheap from places like Poundland, Home Bargains and B&M Bargains. Instead of buying one for every plug you are taking, buy a few and take 3 or 4 way adapters with you. 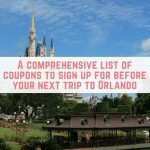 Finally, before you go check out my list of every coupon to sign up for before you head to Orlando. There is lots of free food to be had plus more.